A true life story about four Hispanic high school students who form a robotics club under the leadership of their school’s newest teacher, Fredi (George Lopez). With no experience, 800 bucks, used car parts and a dream, this ragtag team goes up against the country’s reigning robotics champion, MIT. On their journey, they learn not only how to build a robot—they learn to build a bond that will last a lifetime. 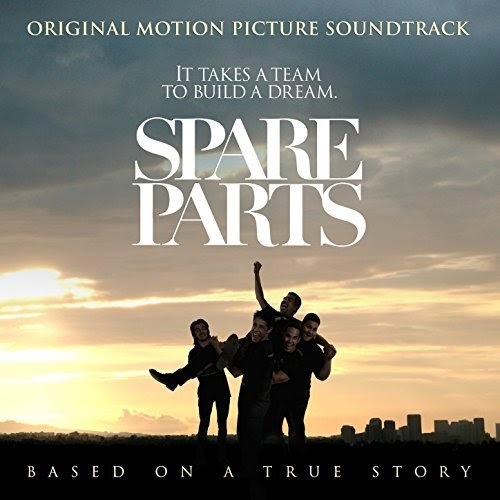 The movie soundtrack of Spare Parts is already available on Amazon.